Are you in need of pool parts or supplies for your swimming pool and/or spa? American Best Pool Supply is your one-stop online shopping place for pool and spa supplies. There are more than 6000 items on our website. We carry major brands of most gas heaters, filters, and pumps, such as Pentair, Hayward, Jandy, Sta Rite, and many more brands! Our mission is to provide you with the highest quality pool and spa supplies, and we have been doing this for over 15 years online. 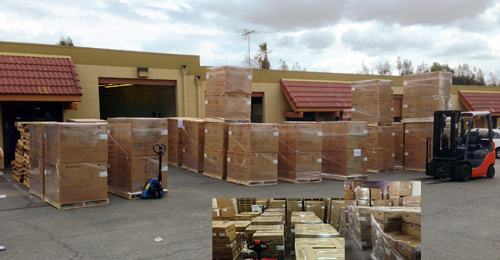 A wide variety of major pool supplies are available in our warehouse and are ready for fast shipping. Not only do we have great low prices, we also have a wide variety of equipment for packaging. Delicate items such as pool lights are packaged with our spray foam, which ensures that your merchandise will arrive on time and in great shape. We provide local delivery and pick-up/will call services to customers in Southern California. For our customers located outside of our service area, we will package and ship their orders via UPS. We have been providing the highest quality pool and spa supplies for over 15 years online with fast shipping and great customer service. We are located at 3900 Valley Blvd. Unit E, Walnut, CA, 91789. Our will call/pick-up hours are between 8:00 am to 4:00 PM only. For local customers, please contact us at (909) 595 -5744 for an appointment to pick up. We will gladly assist you to load your merchandise into your car.